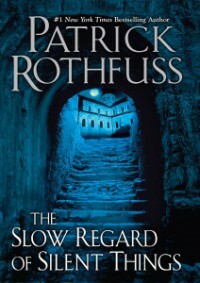 This was not the book I was looking for in terms of any type of continuation of the KingKiller chronicles. I probably should have waited to read this after finishing up the first two books in that series recently in audio and I might have enjoyed this one more. As it was, this was definitely a strange story that I found lacking in any form of substance. I don't think I would recommend this one to anybody else directly but you should probably make up your own mind on the quality of this short story.